The Elk County EMS is a family/team oriented service that serves all of Elk County, its visitors, and any travelers that might require our services. Elk County EMS resides at “The Ambulance Barn” located at 130 S. Pennsylvania in Howard. This facility houses two ambulances with full time staffing of the primary or 1st out ambulance on a 24/7 basis. The backup or 2nd out ambulance is staffed according to personnel availability. This facility also contains a quarter’s room for out of town personnel. Elk County EMS responds to over 300 calls per year consisting of medical emergencies, trauma emergencies, standbys and routine transfers. EMS personnel hold various certifications which include the following: Paramedic, EMT (emergency medical technician), and EMR (first responder). 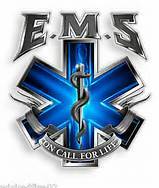 In addition to five full time personnel, Elk County EMS also maintains a part time staff of five certified professionals. Elk County EMS takes pride in our ability to provide quality care to this rural area. Elk County EMS personnel are currently in process of becoming CPR instructor certified. If you are interested in taking a CPR class or being certified there is a sign up sheet at the County Courthouse in the Clerks Office, the class sizes are limited and will be on a first come basis. Details will follow as they become available to include: cost, location, date and times. of interest to the public.